Chess is a very democratic sport in nature. There is no fundamental difference who you play against – a man or a woman. Anyone can win or lose. But practically, some interesting nuances appear. Historically, the first World Championships were held only among the men. Only in the early 20th century, women became involved in the race to identify the strongest on the planet. Almost in all pre-war tournaments shone unique Vera Menchik. She dominated in all major events like no other woman that time. As the popularity of women's chess grew, the level of athletes were increasing. In the late 80's comes into play another outstanding chess player Judit Polgar. Apparently, its phenomenal success is due to competently substituted workouts. She tried all my life to play only in men's tournaments. This helped her to acquire some useful skills that did not have her rival. However, after the birth of a child, she had lost some motivation and persistance necessary to fight at the highest level. But despite this, she remains in the elite club of 2700 Elo. So what do we have today? On the first place by strength is still the same Judit Polgar of Hungary. 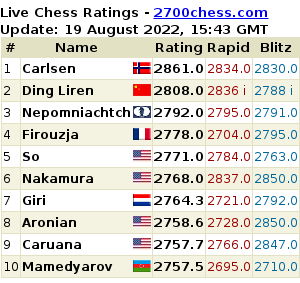 Next, with some margin stay current World Champion Hou Yifan and Anna Muzychuk rated around 2600 Elo. Then comes very tight group of catch-up, among which the most well-known is Humpy Koneru of India. The first thing that comes to mind looking at this list, this is what comes generatin change in close future. It is likely that within a few years, Judit will give way to young. Who will take her place? We think, it is hardly to tell a specific name. But it is clear that that will be the representative of China. Let’s try to justify the choice of this country. It has almost the largest population on the planet. Chess players from Russia can no longer compete with them in the annual friendly team matches. This suggests that they have formed its own chess school in the past 20 years, have formed own chess coaches. But the main feature of Chinese women is their team spirit. Pure individualism reigns in Europe. Each girl is trying to promote her name as much as possible in the mass media. 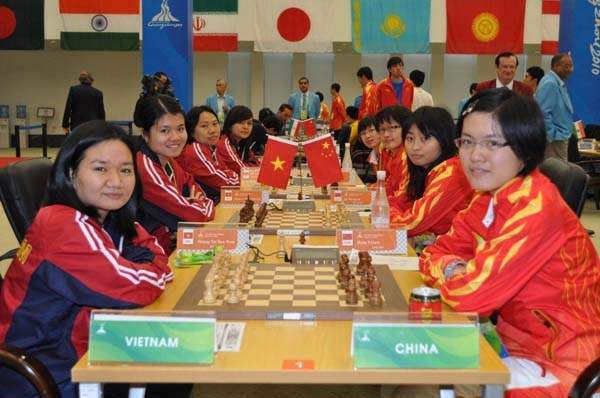 Chess for women is also a good way to travel overseas, make useful contacts. In fact it is a kind of tourism, the subculture. Frankly speeking, for the majority of women chess do not even pay off the trip. A permanent sponsor is required. The fact is that at the time of a women's chess spruce-firs are paying off. They need support at the governmental level. In China, understand it and are working on it. Top athletes get special grants. They are provided by housing and paid trips abroad. Now it is not so noticeable, but it seems to be in 5 years, China will take a dominant position in that sports. Let’s analyze the main features of the Asian chess school. The interests of a team is the highest ones. Personality always takes the second place. Even if it is the World Champion. This ensures continuity of generations. Experienced players consider as their duty to teach their replacement. In other countries, mostly do not do that. Why to produce a competitor for himself? Did you not notice that the best players rarely are eager to share their experiences with the younger generation? For example, Garry Kasparov, after leaving the practice did not become a chess coach. Yes, he has advised some of the players, such as Magnus Carlsen and Hikaru Nakamura. But their partnership was not like a student and a teacher. In these cases, Kasparov acted more like a second or a consultant. His advices were merely recommendations. No one can boast the title of student of ex-World Champions as Boris Spassky, Bobby Fischer, Anatoly Karpov, etc. The fact is that coaching requires totally different psychology. The need to give more than receive should be the major one. But to be successfull winner, often cultivated an individualistic character and narcissism. The next thing of Chinese players is a good technical training. For these athletes chess is not an art but sport or wrestling. From the art point of view, their games have a lack of interest. But this is not proof that they are not talented. They just learned the rules – to put on the first result, rather than special effects. Among the best games or the best moves of the year you will find almost no Chinese chess players. On the other hand, they do not lose in one move. It is very difficult to beat them. Good physical training is a required skill. They have a very developed tactical vision. These are those qualities which need great tenacity and just a bit of creativity. The recipe is simple – the more time you are practicing studies and combinations – better you will cope with similar positions during a game. But do not assume that they have gaps in strategic thinking. They are brilliantly solved this problem by inviting foreign experts. The idea is to grow the own replacement. Then demand foreigners will disappear by itself. They also are very good prepared for an openings theory. This requires just a good memory, and perseverance. At this moment, the theory of Chinese chess dominance is a bit premature for the unprepared reader. But this has a very simple explanation. China located quite far from the largest women's opens. Therefore, overseas travel only a small part of the athletes. There are a number of very strong chess players who are unknown to wide public outside the country. They are just waiting their time. This entry was posted in news on June 25, 2012 by admin.